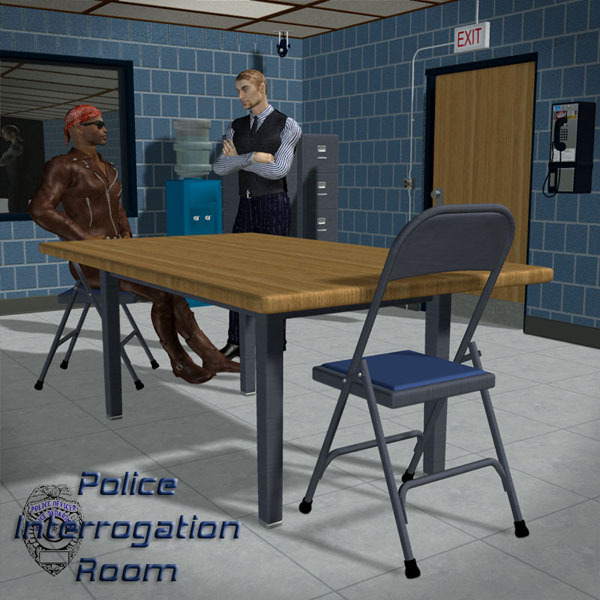 The Interrogation Room is a 17 piece prop set replicating a modern police interrogation room complete with furniture and adjoining room areas. Spacious and functional the Interrogation Room is easy to move around in to set up your scenes. The set features a high level of detail in all of it`s elements to assure a very realistic interrogation environment. 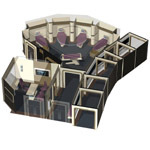 The Interrogation Room also features all of the furniture that you`d need to set up an interrogation scene. Along with the interrogation room area you also have a main office area as well as a complete bathroom and backroom area. 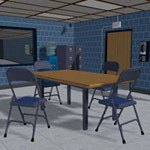 The Interrogation Room can also be used to replicate any secured building area like a military planning room, etc. Most of the sets elements are implemented as separate props so you can use all of the props or just the pieces that you need for your scene. 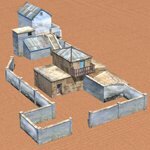 The set includes three PZ3 files that will load the entire set, a loaded interrogation room area or an empty set that only contains the building elements and no furniture. With 6 building props and 11 furniture/fixture props the Interrogation Room is easy to use and a real value for the price - it will perform well for any of your interrogation scenes! 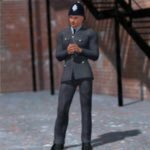 The Interrogation Room has been tested to work with every version of Poser. Install only the props folder that corresponds to your version of Poser. The difference between versions is only in the bump mapping and raytraced mirror reflections.
! 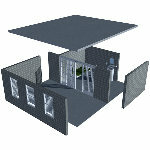 !Base - the actual interrogation room building.
! !Frontwall - separate prop to close off the front of the room. !Ceiling - separate prop replicating an acoustic drop ceiling. !Door Bath - separate bathroom door. !Door I-Room - separate I-Room door. !Door Main - separate main door. 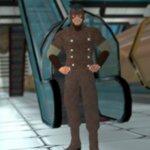 Everything comes as Poser Ready props that can be loaded from the category menu or for even easier use - just load one of the included PZ3 files with a default lighting and camera scheme. 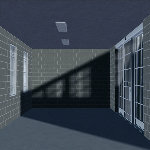 The Interrogation Room also comes with 13 camera presets and 1 lighting presets for easy scene creation. All of the props are completely modular and can be used separately or with other sets for maximum use and enjoyment. The Interrogation Room comes with high resolution textures that look great from a distance or at extreme close up renders. The Jail Cell set is a set of 12 props replicating a modern jail cell complete with all fixtures and furnishings. The Jail Cell set also includes separate side and exterior wall props that can be removed to make it easier to set up scenes or to close the set. 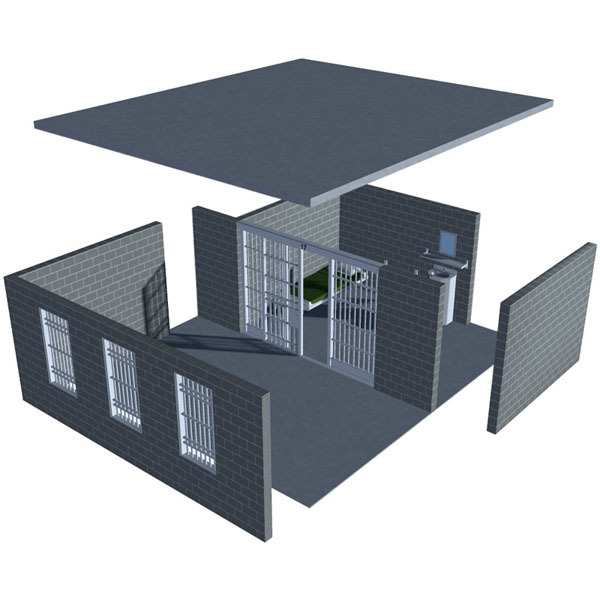 The Jail Cell is a set of very lightweight meshes and gives you the choice of which elements to include in your renders for maximum efficiency. 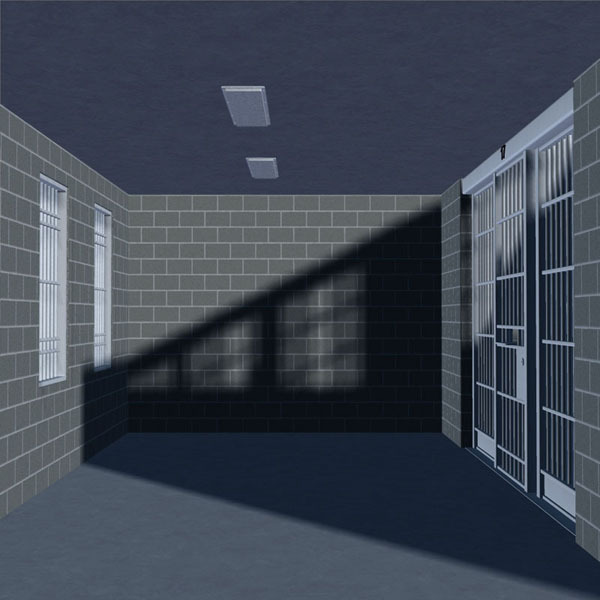 The Jail Cell set also includes 4 camera presets & a light preset for easyscene creation. 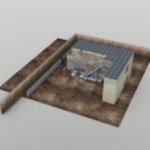 Three PZ3 files are also included that will load the cell with a single bed, a double bed setup and lastly, a single bed cell setup with the external walls loaded. 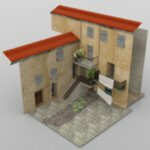 Everything comes as Poser ready props (PP2) that can be loaded from the side Category menu under the Props category or for even easier use, just load one of the included PZ3 files which will load the props with a default lighting and camera scheme. 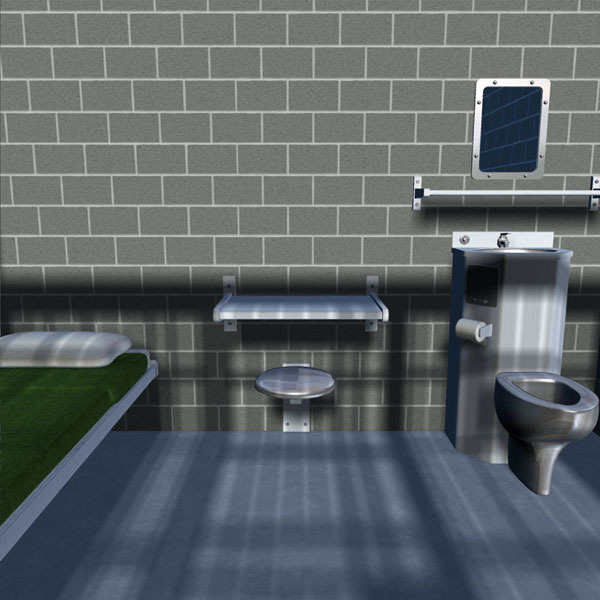 The Jail Cell Prop features high resolution texturing that will well support large renders and close up camera shots. An excellent prop, perfect for those "Silence of the Lambs" scenes, complete with moveable toliet, sink, bed and bookshelves. Thank you for a great product! !